UK development funding is being channeled into “less accountable” political systems prone to corruption and conflict as a result of the government’s use of US-style organizations to strengthen parliaments abroad, a committee of MPs warns. In a report published Tuesday, the parliamentary International Development Committee said some of the most far-reaching foreign aid results stem from low-cost, hands-on parliamentary strengthening abroad. Strong parliaments in developing nations increase accountability and security, while reducing malfeasance, inequality and violence, the committee said. The Committee monitors the Department for International Development’s (DfID) policies, expenditure and administration. On corruption, Sir Malcolm Bruce, chair of the committee, said the DfID must increase its efforts to make robust foreign parliaments more central to its development programs. He noted parliaments are not currently factored into the department’s anti-corruption strategies, and said this needs to change. He stressed strong parliaments are crucial in tackling corruption because they have the capacity to hold rogue governments to account. The committee’s report acknowledged that the DfID is a prolific contributor to parliamentary strengthening abroad, spending roughly £22.5 million in 2014. The watchdog’s research, entitled “Parliamentary Spending,” reveals that the DfID relies quite heavily on American organizations to strengthen parliaments abroad. Seven of the department’s 37 parliament enhancing projects have been allocated to American agents, while only three have been issued to British providers, according to the research. Additionally, a list of primary DfID suppliers indicates that 55 percent of its spending in this area is channeled towards organizations on US soil. Commenting on the trend, the Committee said the DfID’s extensive use of American organizations would likely promote and cultivate “US models of democracy” abroad. 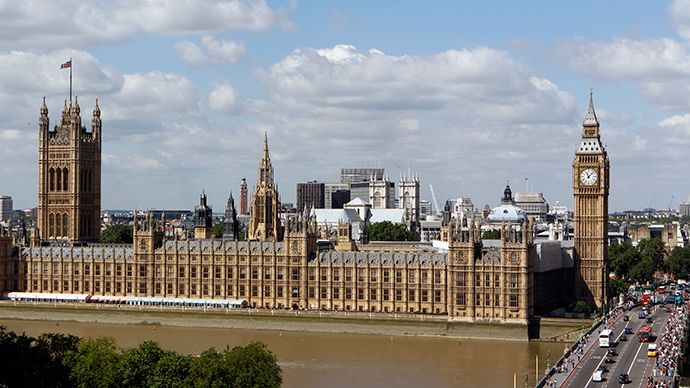 The report noted that Britain does not explicitly promote its parliamentary system in developing nations. But it argued the US does, citing USAID’s Consortium for Elections and Political Process Strengthening (CEPPS) program as an example. The scheme was set up to offer funding for American institutions to promote democracy in developing nations. The Committee’s report warned the CEPPS and National Endowment for Democracy programs offer US organizations an advantage over their UK counterparts. Both intuitions are subsidized by American taxpayers, and are powerfully positioned to win DfID contracts. By contrast, Westminster institutions are generally unable to win bids for American cash spent on promoting democracy in developing states as much of the funding is reserved for key US institutions, the report says. The Committee’s research acknowledged large development organizations such as the UN Development Program (UNDP) can be beneficial if a slew of donors are involved in parliamentary strengthening programs or if they relate to conflict-ridden or fragile states. But it suggested the DfID should commission smaller, more expert organizations and take a more tailored approach to managing its efforts to strengthen parliaments abroad. It urged the DfID to cultivate greater links with UK suppliers and massively increase its deployment of them between now and 2020. “There is a demand for expertise from the ‘Westminster brand,’ especially from Commonwealth countries, but funds are funneled through large providers in other countries rather than smaller expert organizations,” Bruce said. “More thought should be given to the supply side and how to build UK institutions into world class providers,” he added. The Committee also raised concern regarding the European Union's (EU) use of UK development funding. At present, the EU accounts for over 25 percent of the DfID's multilateral spending. UK taxpayers contribute roughly 15 percent of the total the EU spends on strengthening parliaments in developing nations. The committee said it was highly concerned by criticisms it had encountered regarding EU commissioning in this field. Key issues raised included the deployment of “non-specialist contractors” skilled at dealing with institutions’ complicated procurement procedures, and inefficient use of funding. The Committee concluded that the DfID should examine these allegations, and push for large-scale reform. A DfID spokeswoman told The Guardian the UK had created and implemented over 37 projects to strengthen parliaments in 21 foreign states in an effort to cultivate greater accountability and equality. She confirmed concerns highlighted in the report regarding the EU’s use of development funding would be broached with the European Commission.